They say “photography is an art of observation – it has little to do with the things you see and everything to do with the way you see them.” True, photography is a way to express yourself and the ways you perceive the world. No wonder why they call the camera the save button for the mind’s eye. When photography was introduced back in 1839, the equipment was relatively expensive and required some training to be properly managed. Nowadays, thanks to the high-tech photo equipment and the editing apps that come with it, creating breath-taking photos is relatively easy and even possible with the same device that we use to make calls. And maybe this ‘easy access to photography’ that we now have is the reason that makes us want to capture every single event that happens in our lives. However, to be able to take really nice pics, a smartphone alone (even though it is armed with the latest applications and amazing features) is not enough. When it comes to taking great shots, nothing beats the power of a good camera accompanied by a few accessories. Let’s take a quick look at some of the current trends. Mirrorless cameras are the latest hit in the photograph industry. 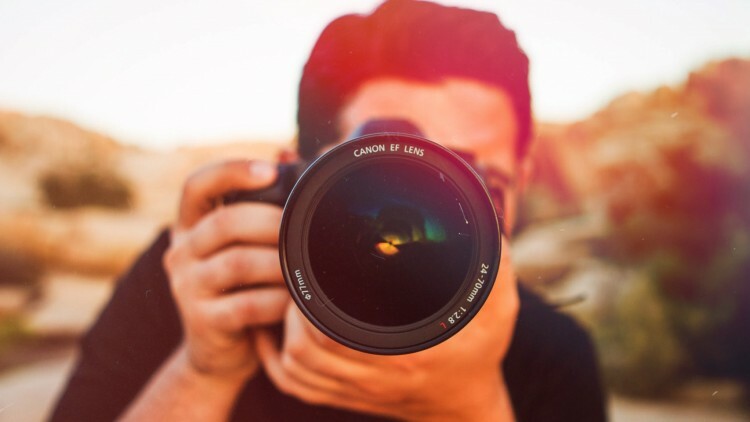 The main reason for that is the fact that much of the technology used in the DSLR cameras can now be found in this smaller, more user-friendly camera style. Although the DSLR camera is still the central component in many professionals’ camera bags, depending on your needs, you might find a mirrorless camera a more convenient option to carry around compared to a 20+ kilos camera case full of gear. Every professional photographer knows how heavy lenses can be and that is the reason why many of them are turning to super-zoom lenses. The huge advances in technology have made it possible to build an ultra wide zoom range into high-quality lenses. With a lens that ranges from 18mm to 300mm, now it is easier to lighten your load as you can freely leave a couple of lenses out of your bag thanks to this all-in-one lens. So, if you’re considering to buy lenses online or from a brick-and-mortar store, go with super-zoom lenses, you won’t regret the decision. Bear in mind, the option to buy lenses online is much more affordable as you are more likely to find many great deals on the internet. If you like sharing your photos on social media and need a quick access to your computer or smartphone, you need to have wireless connection for sure. This advancement enables you to transfer and upload your photos as soon as you shoot them. This is also a very convenient feature for commercial photographers who work on-site and need to get fast approval. Coupled with services such as Google Drive and Dropbox, this feature enables you to transfer large, high-resolution images and video files to anyone, anywhere on this globe.